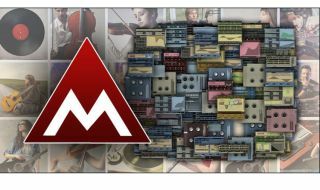 PRODUCTION EXPO 2013: MeldaProduction specializes in developing high-end audio related software products. Our products provide the best audio quality available on the market, the widest range of features and the most advanced user interfaces. Our products are also often highly innovative rather than clones of other software. At MeldaProduction, we believe that great software cannot be created by developers limited by deadlines and commands from managers, workers for slow and inoperational large corporations. Hence we try to keep MeldaProduction very small and build the power on our great development team. We employ young, clever, motivated people in order to make our products more inventive and sophisticated. Equalizing is probably the most important task, so you should get the best tool out there. MAutoDynamicEq is much more than an unbelievably transparent and musical sounding equalizer with a gorgeous interface stuffed with amazing features. It pushes the technology forward by introducing dynamic processing.